The above reference 3D renderings shown with optional stainless steel door frames, which are listed below. Static-dissipative PVC desiccator cabinets feature system grounding, where the door latch set, hinges and racks are interconnected with conductive tape and terminated at a multi lug grounding block. Grounding is optional on clear and amber acrylic desiccator cabinets. See Grounding (desiccator) option below for further information. Static dissipative PVC desiccator cabinets should not be exposed to extreme heat, direct sun light or prolonged exposure to temperatures above 80 degrees Fahrenheit. It is highly recommended that heavy objects and/or materials not be placed on top of desiccator cabinets unless the cabinet is properly fitted with the optional stainless steel adjustable shelf supports. Desiccator cabinets should be periodically cleaned. When doing so, it is recommended that a soft, nonabrasive cloth (micro-fiber) be used along with cold to slightly warm water. If needed, a mild non-abrasive detergent may also be used. 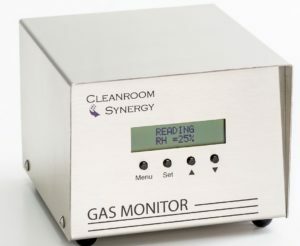 Gently wipe the desiccator clean using straight (not circular) motions, replacing the cloth frequently to avoid any un-necessary scratching of the plastic surfaces. Stainless steel shields being purchased for installation on clear and amber acrylic desiccator cabinet’s, should be considered with the addition of desiccator grounding (optional). See Grounding (desiccator) option below for further information. 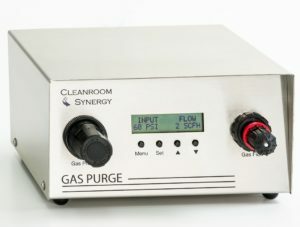 chamber and not centrally located in the center of the chamber as to minimize un-necessary damage to the desiccator cabinet. opened or if the R/H set point has not been reached. 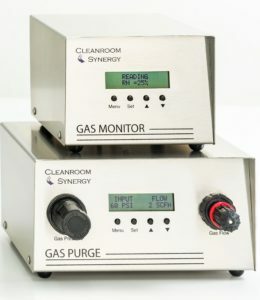 will issue a command to the Gas Purge™ controller to lower the desiccator cabinet’s humidity level whenever it senses a reading above the R/H set point. high flow rate while the door is opened and for a preset time after the door is closed (factory set at 60 seconds). is per chamber. Stainless steel shield installation within these cabinets, include connection to the desiccators grounding if optional grounding is purchased.